G20 countries applied 40 new restrictive measures to over $481bn of trade between May and October this year, according to a new report from the World Trade Organisation (WTO). The new restrictions cover six times more trade than the preceding six months and were the most comprehensive to be applied since the WTO began monitoring G20 trade in 2012. 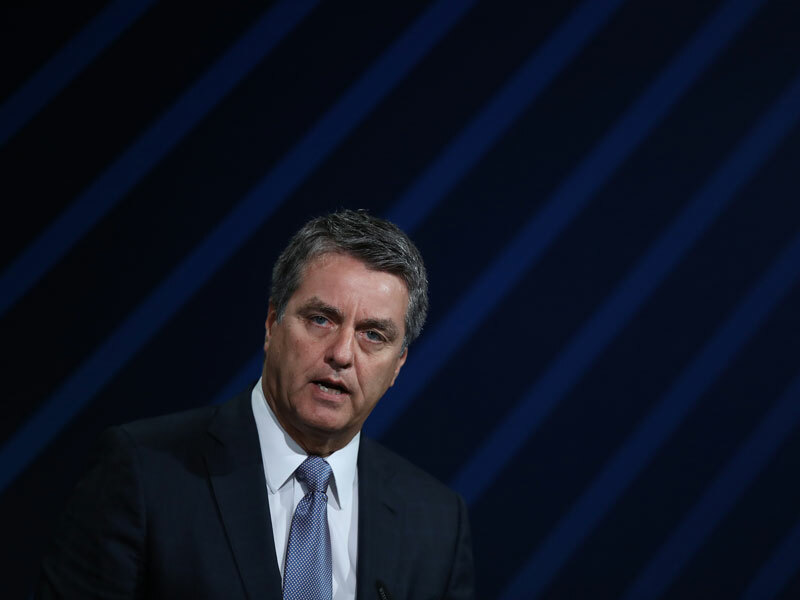 Director-General of the WTO Roberto Azevêdo said the report’s findings “should be of serious concern for G20 governments and the whole international community”. The number of trade restrictions averaged eight per month between mid-May and mid-October this year, an increase from six per month in the previous reporting period from mid-October 2017 to mid-May 2018. Three quarters of the restrictions were tariff hikes, many of which were applied in retaliation to steel and aluminium tariffs applied by US president Donald Trump in March. The report highlights that 33 new import-facilitating measures were applied during the same period. However, these only accounted for $216bn of trade, less than half the value of trade-restrictive measures. Two thirds of that value were attributed to China’s reduction of more than 1,400 tariffs on vehicles and other mechanical components. Measures that have been announced but not yet implemented have been omitted from the data. The WTO’s report comes as a warning to G20 leaders, who are set to meet in Argentina next week for the annual summit, as to the implications of ongoing global trade tensions. “Further escalation [of trade-restrictive measures] would carry potentially large risks for global trade, with knock-on effects for economic growth, jobs and consumer prices around the world,” the report cautioned. The WTO has counselled all G20 economies to “use all means at their disposal” to resolve the fraught international situation. It has pledged to offer its support wherever possible but has warned that political will and leadership from the G20 is the most vital element. The greatest contributing factor to global restrictions has been the US-China trade war, with the world’s two largest economies applying tariffs on a collective $360bn of goods in 2018. The G20 summit will be the first time Trump and Chinese president Xi Jinping have met since the trade war began in March. Hopes are high for a truce between the two leaders, as fraught relations between the US and China have had severe knock-on effects for the world economy and notably led the IMF to downgrade its global economic predictions for the coming months. In its World Economic Outlook report, published in October, the IMF revised its earlier prediction of 3.9 percent global growth for 2018-19, bringing it down by 0.2 percentage points as a result of ongoing trade tensions. Currently, the next round of levies implemented by Trump, which will raise tariffs from 10 percent to 25 percent on $200bn of Chinese merchandise, are scheduled to come into force on January 1. These could be put on ice if the two leaders are able to strike a peace deal in Buenos Aires next week.